As IoT and ambient intelligence becomes more relevant, I predict that home goods companies will want to initiate their own IoT products. The future of connected devices requires new and forward looking mechanisms to control them. Before ubiquitous computing is obtainable, I will conceptualize how physical interactions beyond the 2-D screen can be a productive and enjoyable experience. Technology is all around us in obvious ways, but I will present how digital interactions can be seamlessly embedded into our lives through physical objects and light. Create delightful and intuitive user experiences through interacting with physical objects that fulfill some basic human needs like security, entertainment, health, and self confidence. Research current and future forms of ubiquitous computing to understand how we can control the smart home before big data and big context are relevant and popular technologies. Gain my own confidence with form development, prototyping, and model making through iterative concept development and model making processes. Present the user experience to clearly show how the actions we take for granted can be enjoyable and productive through the use of technology. 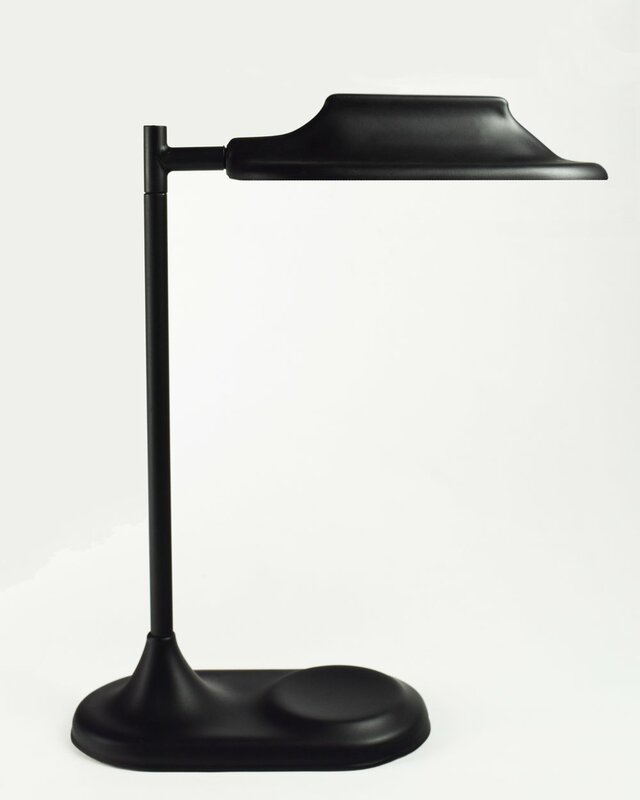 A functional task lamp that notifies. Our notifications are signaled to us through our phones with a sounding ping to keep us connected to our personal data and information. This method is obtrusive by taking us away from task we are concentrating on because we recognize the sound and then immediately grab our phones to see if the notification was important or just something we'd like to read later. I believe a subtle notification through lighting would be less obtrusive than the way we handle personal data delivery currently. Like case 2, what if we identified certain colors with certain kinds of information. Maybe read is entertainment while blue is related to our profession. This creates a hierarchy for our notifications to quickly swipe away the information on the lamp base, or bring the information on the screen. 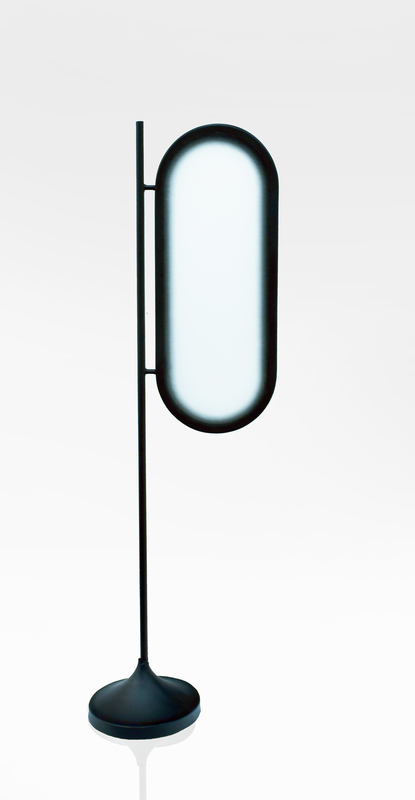 A floor lamp that visualizes data in a smart home. Before smart homes are fully automated years from now without much human input, systems will make decisions based on context to assume what the user wants. How should we control the environment now? I think that controlling the smart objects and environment around us could be changed with physical interfaces beyond the screen. The object is a controller with an obvious interface that can be learned by using the object without direction. The physical input controller is intended to be simple in form, intuitive to use, and a beautiful object that would evoke curiosity. 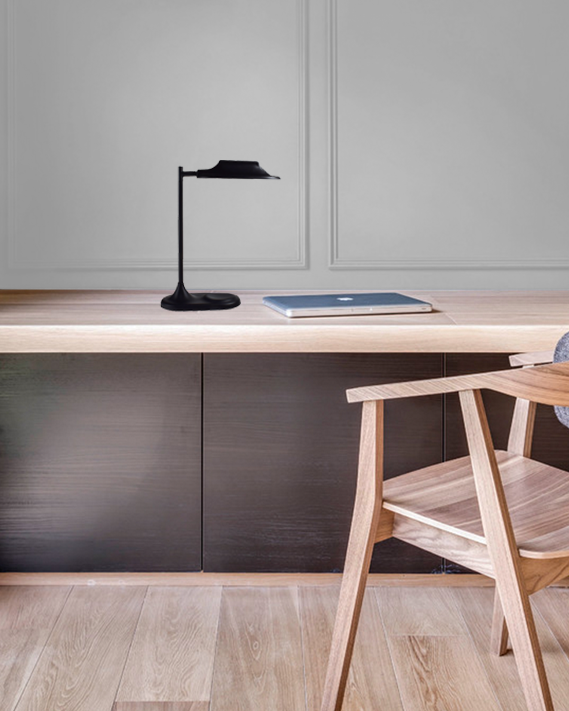 The semi-translucent diffuser has a gradient pattern on the edges to transition the line of light between the black outer frame and the diffuser. Objects that evoke intuitive use. An object that reminds the user to view data.